‘Inclusive Hindutva’ of the RSS chief self-contradictory! The divisive agenda, inherent in Hindutva, still the cause for all perasive ills of the country. The three day lectures of the RSS chief Mohan Bhagwat, “BhavishyaKa Bharat: An RSS Perspective” at the conclave held at Vigyan Bhavan, New Delhi reveals the nightmare of the parental body of SanghParivar, fearing the fateful result likely to occur to its political outfit, BJP in the forthcoming parliament election in 2019. The proceedings at the conclave are nothing but a ‘pre-election agenda’ to combat the stemming up the political opposition against the move of saffronising the whole country. 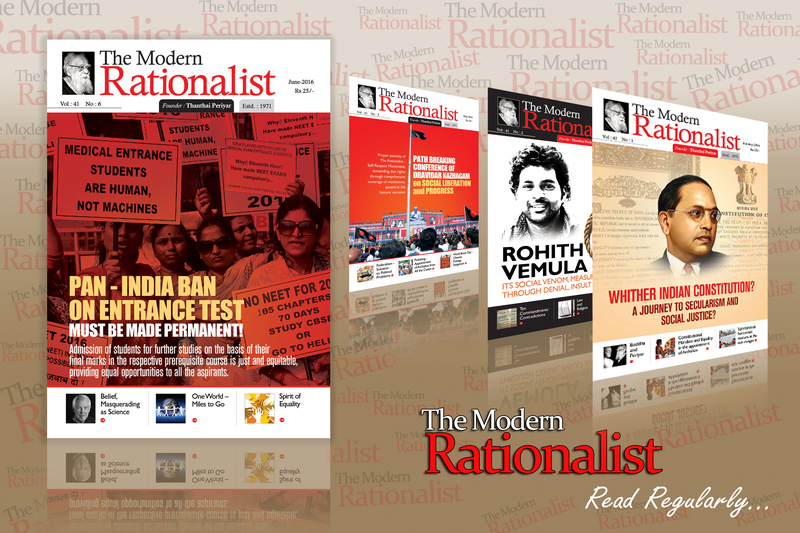 The choice of the conclave venue itself exhibited the influence and command RSS exercises on the ruling BJP. There is no precedence to allow Vigyan Bhavan to conduct the proceedings for organisations other than major governmental bodies. RSS has created precedence for its deceptive revelation pronounced at Vigyan Bhavan from where the falsehood of RSS has started to flow in the disguise of universal brotherhood. The responsive shot of Bhagwat to the political opponents reveals “the RSS believes in universal brotherhood and the principle of this brotherhood is ‘unity in diversity’ that forms the culture of Hindutva and therefore we refer to this as a Hindu Rashtra.” While holding the card of ‘Hindu Rashtra’, how can RSS claim having accepted the diversified culture of this vast sub-continent? All along RSS has been advocating the belief that Muslims of this land are the inheritors of the legacy of the few foreign invaders whose religion was Islam. The Muslim brethren of today are the sons of the soil on whom the RSS has been spewing its venom of ‘alien’. But today all of a sudden the RSS chief utters, “the day it is said that Muslims are excluded from such a conception, it would render Hindutva in fructuous”. Is it a part of the scheme of patronising inclusion of a Muslim minority by the so called Hindu hegemonic majority? The tone and tenor, if felt would expose the arrogant attitude of RSS as if the land belongs to them and they have shown the magnanimity of including ‘Muslims’ in the population composition of the country. It is not an ‘inclusion’ but only ‘accommodation’ to accomplish the forthcoming election agenda. Bhagwat emphasizes, “RSS is committed to the Constitution of India’ and calls it a ‘consensus’ of Indian society and RSS had done nothing against it.” Can RSS deny its claim to rewrite the Indian Constitution for the cause of including more of Hindutva ingredients into it? While putting stress on ‘Unity in diversity’, where is the need for the curious call of RSS for ‘Uniform Civil Code’? It is nothing but dichotomy in its coloured perception and pronouncement of ‘uniformity’ instead of ‘unity’. The use of the word ‘fraternity’ is being cunningly quoted by the RSS chief as if it has found its place in Indian Constitution. Besides attempts have been made to appropriate the revolutionary, Dr.B.R.Ambedkar by showing how as Constitution framer he resolved the seeming dichotomy between the social equity and freedom. Bhagwat points out thus: “Ambedkar said the answer to resolving this dichotomy came to him not from the French revolution, but from Buddhism and its message of fraternity… It is this fraternity that RSS seeks to foster.” The above utterance of the Sarsanghchalak of RSS is nothing but the attempt of ‘mixing oil and water’ approach to divisive concept of Hindutva, staking its claim of Manusmiruthi. The ‘fraternity’ message of Buddhism was assimilated historically by the vedic religion of those days that was transformed under one banner of ‘Hinduism’ by Adi Sankara. 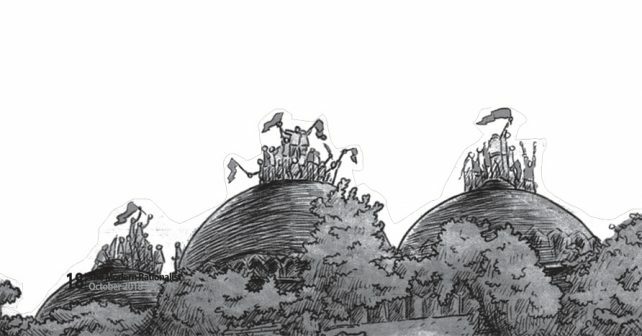 However the ‘inclusion of Muslims’ in the Hindu Rashtra is seemingly blasted out by Bhagwat’s last day revelation that Muslims have to compromise themselves on the construction of Ram temple at the disputed site of Ayodhya. The absence of women participation in RSS which adds strength to the contention of ‘women subjugation’ component of Hindu religion has been casually explained by Bhagwat stating that a woman’s wing was formed later in RSS. Very often forming organisational wings for a particular category of cadres is not to uplift but to ditch them further. In case of RSS, it is typical truth on its comments on many issues concerning women liberalism in the country. On all fronts the delivery of RSS chief is oriented on changing the tune of RSS song – sung so far but the ideological lyric continues to remain the same. The major blow on Hindutva on the last day of the conclave was dealt by the RSS chief while meeting the press. The present RSS chief has nothing to defend the inscription of M.S.Golwalkar in black and white but to state that there was a need to change the prescription of previous RSS chief in keeping with the changing times. RSS has acquired a new avatar declaring that their organisation is democratic. How strange an avatar! If it is a fact, how had all its important leaders since 1925 from the inception of RSS happened to be Maharashtrian Brahmins – that too belonging to Chithbhavan Brahmin sect except a short interregnum when Rajendra Singh held the apex post. The sudden change of stance by the RSS favouring ‘Reservation’ cannot be understood by mere spelt out statements. What was the stand before Bihar election 2015? What was the reason in making a total ‘U’ turn? The toppling of V.P. Singh Government by BJP-RSS combine for having implemented the Mandal Commission recommendation still remains in the minds of the backward classes. Can it be forgotten so soon?